It wasn’t my first time to try San Marino Tuna Paella. I tried it a long time ago, and I liked it, so I made a mental note to buy it again for my food review; I was only able to do that last weekend.This is what I had for breakfast last Tuesday. Although it requires no cooking, I didn’t eat it straight from the can. Instead, I had it heated in a pan and placed on a plate so I could enjoy it more. What I liked about the San Marino Tuna Paella is that it tastes and looks like real paella. It also has no preservatives, and it is rich in Omega-3 DHA which is good for the heart, plus it comes in an easy-open can. It’s quite affordable, too. San Marino Tuna Paella has rice, water, tuna flakes, soya oil, carrots, green peas, spices and seasonings. It’s great for people on the go because it’s ready-to-eat and is convenient to take anywhere. This entry was posted in San Marino Tuna Paella, Uncategorized. Bookmark the permalink. 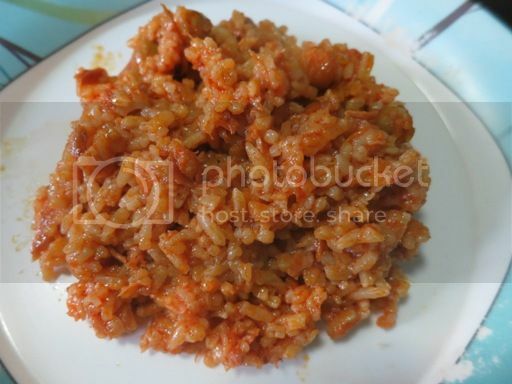 is san marino tuna paella safe to eat? Ang rice abutin lang ng 8 hrs panis na. Pano naman tong san marino? 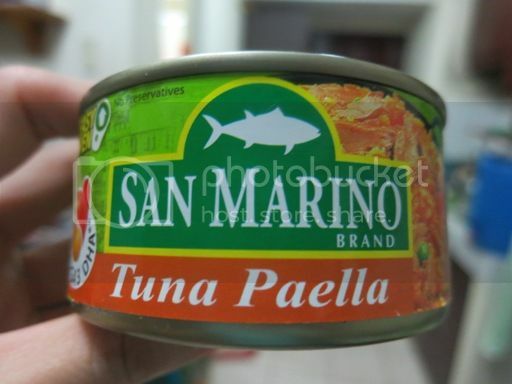 Nothing unfortunate happened to me when I consumed San Marino Tuna Paella. I actually bought again after my first try.